It appears to have escaped the attention of some, but gluten is not permitted to ‘hide’ in food. Gluten has to be declared in ingredients lists – in the form of wheat, barley, rye or oats. The name of the gluten-containing cereal should be highlighted, according to legislation effective since December 2014, but has had to have been named for well over a decade. Free From Heaven / Gluten Free Heaven are alternating bimonthly magazines. Here’s an article of theirs published November 2015. “It is important to get into the habit of always checking the label for hidden gluten”, it reads, followed by a list of ingredients which “may contain gluten”. Among them is “wholewheat” – about which there is no question of “may” when it comes to gluten. 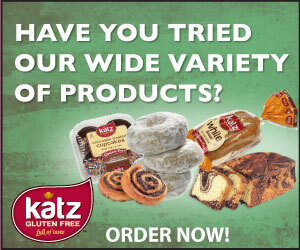 Some other ingredients may not be as clear cut, but here’s the key point: if ingredients do contain gluten, the source of the gluten has to be declared – namely wheat, barley, rye or oats. “Vegetable protein” can’t be ‘hiding’ gluten, because it has to be declared as “vegetable protein (from wheat)” if wheat is the source. If there’s no source declared, then it’s probably corn, and that is gluten free. I recently parted company with a fiver for the February / March 2016 edition of Gluten Free Heaven in order to fully digest a concerning article on children’s nutrition by Kirsty Henshaw, which gave misleading weaning advice for allergy prevention (more on that another day). Also in the edition is an article called “Do you need to glutox?” by nutritional therapist Becky Graham. In it, Graham lists ingredients which “can be code for gluten”, among which are “natural flavouring”, “dextrin”, “hydrolysed vegetable protein” and – bafflingly – “brown rice syrup”, “hydrolysed soy protein” and “maltodextrin” (which Coeliac UK say is GF). None of these is “code for gluten”. The only possible ‘code’ for gluten are, should it need repeating, the words wheat, barley, rye or oats. These are the words coeliacs need to look out for on food. They don’t need to hunt out “samino peptide complex” or “hordeum distichon” and it can only alarm consumers to tell them that they do. It undermines confidence, instils fear and suspicion of food, and implies EU legislation is inadequate. The ‘Heaven’ publications aren’t the only culprits, of course. A boggling article on the Glutopia site called ‘Gluten’s Secret Pseudonyms‘ makes the same errors. Even the normally reliable content on the Newburn Bakehouse website has fallen foul – this article warns of possible hidden wheat in unspecified flour on an ingredients list, which would be illegal. But a magazine’s confusion about this is more serious, in my view, because magazines are more widely read, the content can’t be corrected, and can remain in circulation for years. That the editorial team behind a pair of apparently popular and prominent publications, devoted specifically to free from diets and food allergies / intolerances, appear unclear on long-standing allergen labelling laws worries me, and should worry their readers too.